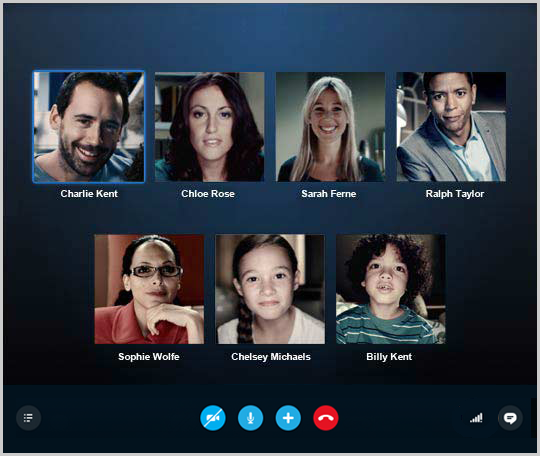 Group Video call in Skype means that a user can video call with up to 25 people. However, you can only stream up to 10 videos at a time (9 plus yourself.) The rest of the group will be audio only. 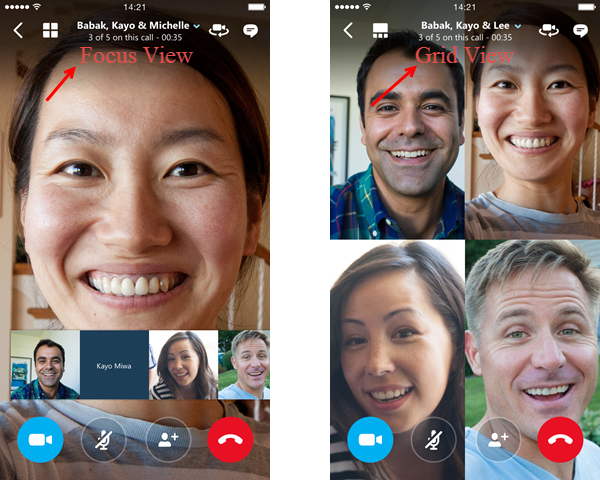 Group video calls can be made on any computer, and mobile on Android and iOS, with Skype installed. Before you make a call, first make sure that your webcam is working properly. If you are having trouble, try taking a look at these tips for some help. 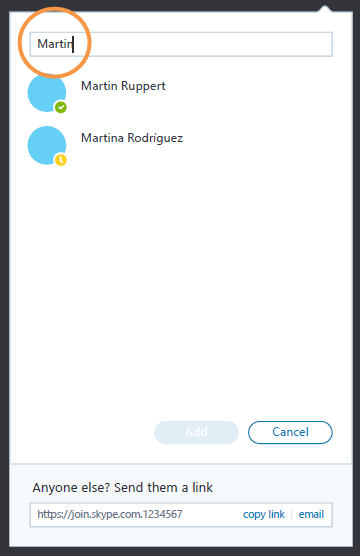 Also, make sure that everyone on the video call also has a working webcam and that their system meets the requirements for Windows computer, Mac, Android, iOS, Windows mobile, and any other device. To make a call, first click the +New icon under your picture. Type in the name of the contact you would like to add to the call. When you find the contact you want, click the name and then click Add. Repeat until you have added as many contacts as you would like for the group call. You can add up to 25 people to a group video call. Click the group avatar to bring up the group profile. 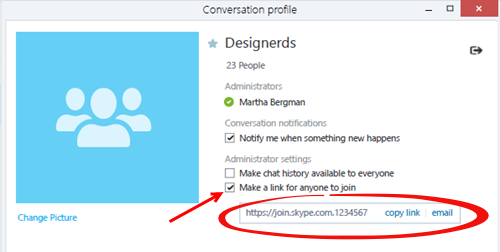 From this page, you can change the conversation title and picture, disable notifications, check the chat history, and invite the group to a group video call. When you invite the group to a group video call, they will be sent a link. This link allows anyone to join the group video call for free; they do not have to have a Skype account. When your group accepts the call, they will appear on the screen. In Mobile, you can choose between focus view and grid view. In focus view, the active speaker will automatically become visible in full screen. Grid view will make all viewers the same size. If you can't see or hear each other, click the call quality icon on the call bar, and check your settings. If you continue to experience problems, use Call Quality troubleshooters. To drop individual people from the call, click their image then click the red icon. Only the group video call host can drop people from the call. To end the call, click the red End Call button. For more information, visit support.skype.com or visit Windows Desktop Group Video Call help, Android Video Call help, iOS Video Call help, and Mac Group Video Call help. 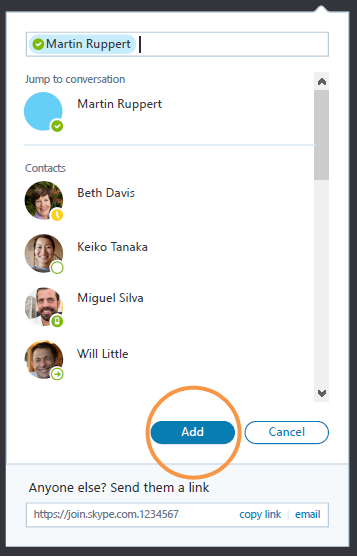 Currently, group video call is not supported on Windows 10 or Windows 10 mobile, or on any other platforms such as Linux, TV, or Xbox One.